Harley-Davidson’s Softail Slim S and its American muscle strikes to the core value of its riders. 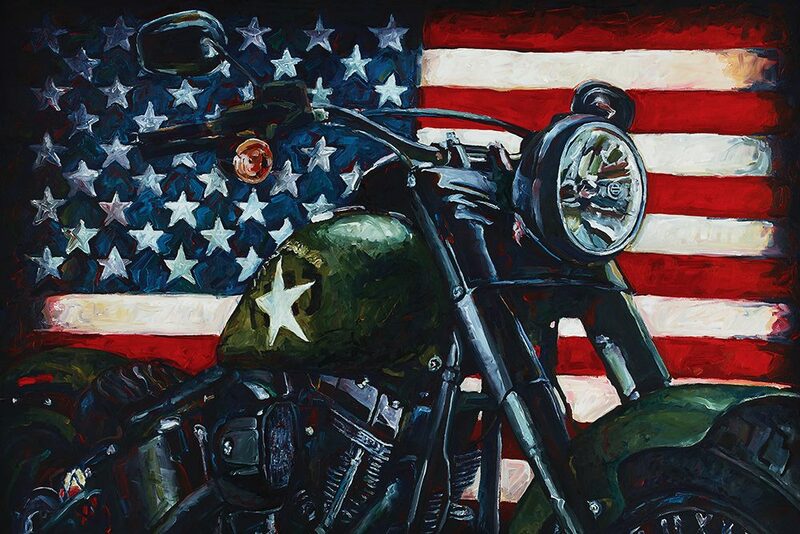 Artist Mathew (boo) Hintz embraces and wraps the bike in the patriotic back drop that evokes how we feel towards this American made iconic motorcycle. 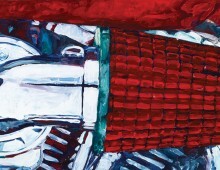 Its build up of brush strokes and paint layers sculpt the image into recognition. Painted on climate stable wood, each work of art is museum quality and tough as nails. Hintz uses heavy-body acrylic paint formulated with 100% acrylic resin binder, resulting in an exceptionally durable paint. Every completed painting is finished and sealed with 7 layers of a varnish to form a degree of depth that further enriches the paint’s surface. 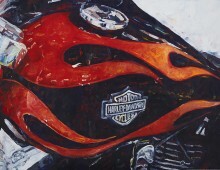 Made to withstand the happenings of a biker bar, or your living room, you will want to pass this painting down to the grandkids as a long lasting investment.